Do you live in Pennsylvania and love the outdoors? Well we got a jersey for you! Aero Tech is proud to introduce the Commonwealth Crusher. 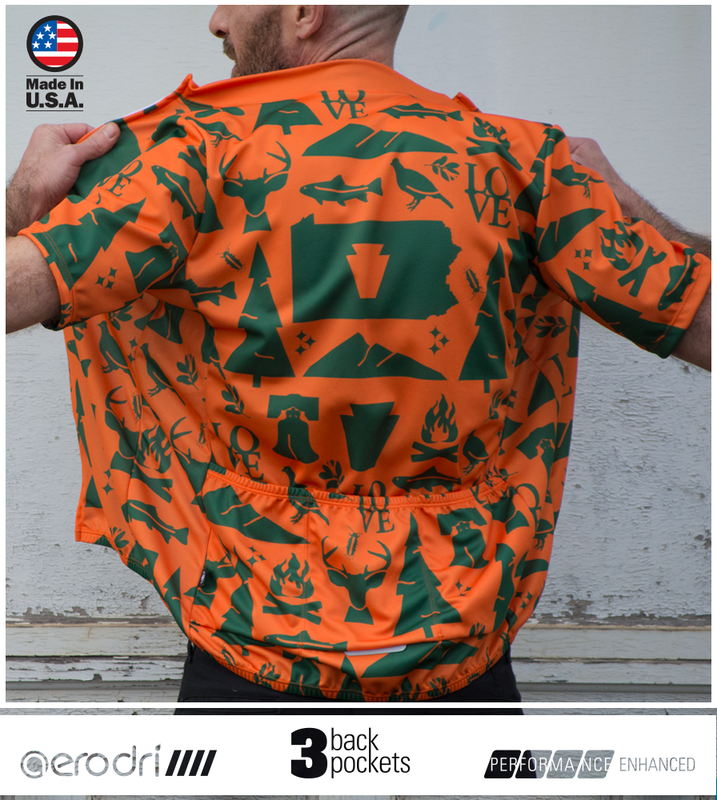 The Commonwealth Crusher jersey has great fit and is available in two colors; Green and Orange. Both color options come packed full of cool outdoor elements for unique design that looks great far away and up close. It is printed on our AeroDRI fabric that is breathable and is made for printing so the jersey design will last as long as you have the jersey. The sizes ranges from X-Small to 5X-Large in both colors. The jerseys is also packed with other features besides a great design. The jerseys has a full separating zipper, 3 deep pockets on the back of the jersey, and a reflective tab for safety in low light situations. The Commonwealth Crusher is also made in Pennsylvania so you get a quality product and support local workforce. Love the outdoors? Check out some of our other multi-sport and outdoor themed apparel.